Dr. Banionis enjoys helping aesthetic client’s look and feel their best. He is able to combine non-surgical cosmetic procedures with the latest regenerative medicine techniques to help clients regain and maintain a more youthful appearance. He enjoys the artistic subtleties of helping clients achieve a more natural youthful appearance. By merging the most popular aesthetic tools with the latest in regenerative medicine techniques, he and the staff at Palm Beach Anti-Aging will help clients restore and rejuvenate your body to look and feel your best. Dr. Banionis is a board-certified physician that has trained extensively in aesthetic and regenerative medicine to become an expert in the field of anti aging medicine. He incorporates state of the art regenerative techniques, such as stem cell therapy and PRP, which helps to restore function and repair damaged tissues. He is an expert in minimally invasive techniques using live imaging, such as fluoroscopy and ultrasound directed needle guidance, to precisely deliver biologic products to areas of tissue damage. Precise needle guidance is particularly important when injecting into sensitive areas around the spine and joints, to maximize repair and stimulate the body’s natural healing processes. This precision ensures the highest quality in client care and helps people to maintain their active lifestyles while avoiding surgeries. 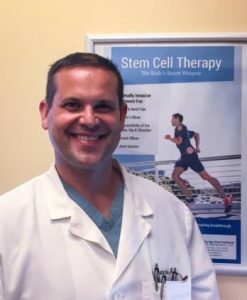 He is one of a select few physicians in South Florida to be certified and fellowship trained in Stem Cell therapy. He is a member of the American Academy of Anti-Aging Medicine and is certified by the International Association for Physicians in Aesthetic Medicine. He is Board Certified in Pain Management by the American Board of Physical Medicine and Rehab and is also Board Certified by the American Board of Disability Analysts, and American Board of Internal Medicine, and has also worked as a Medical Expert for the Florida Board of Medicine. Lisa Banionis has been an active member of the Wellington community for many years and has extensive experience in marketing, education, and the Health and Wellness industry. Lisa is chairperson of the Medical and Wellness committee of the Wellington Chamber of Commerce and is an active member of the professional woman’s group Women of Wellington. She is a certified Health Coach and with her Masters degree in Education, she is able to follow her passion by providing health coaching to patients. 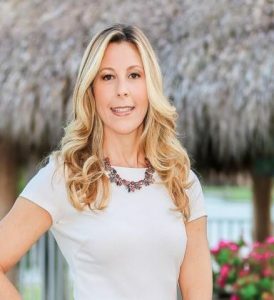 She is able combine her business and marketing expertise with her passion for healthy living to co-found and work daily as the Business and Marketing Director for Palm Beach Anti-Aging and Regenerative Medicine. Lisa believes strongly in giving back to the community through the many charities that the Women of Wellington support. One such charity is “Place of Hope”, an organization caring for abused and neglected children, where Lisa is able to help provide guidance and counsel girls on nutrition and health.